We Are Not Just Connected With Our Work, We Connect With People! Today, mobile app development is one of the fastest growing fields where you can reap huge amounts of profits within the shorter time span. Almost for each and every activity whether it's shopping, booking a table for dinner or tickets reservations, we have a mobile app right at the fingertips to perform a hassle free task. The mobile app has become an important tool to expand and promote your business. In such cutting edge competition, if you want to be in the dominant position, mobile app development is the best tool. The mobile app can prove to be a revenue generating tool if it is build with the best strategy and interactive interface. As User Interface is the first interacting point of the user with your mobile app, it is one of the most crucial aspects of your app success. The development team at Hyperlink Infosystem understands the importance of mobile app in your business and so, they just don't start with app development. They plan and strategize your mobile app development as per your business nature and requirements to ensure that you receive outcomes, not the output. The strategy developed by app developers help them to build a strong and secure application that meets your business requirements and outcomes you with expected result. 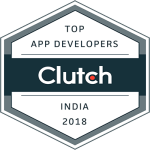 We hold the team of best app developers who have vast experience in development of mobile apps on various platforms and in the versatile domains. Making Hyperlink Infosystem as your technology partner is like expanding your business with innovative, robust and secure mobile apps in best industry price. At Hyperlink Infosystem our developers create highly interactive and secure mobile apps with elegant UI, amazing features, and highly optimized code. Our developers are highly versatile to create mobile apps on different platforms like Android, iOS, Windows and much more. We have served 700+ clients across the globe with our rich and custom mobile solutions. So, if you are looking for mobile app developers in Argentina, contact Hyperlink Infosystem. Hire our app developers with best hiring module and get the best app developed for your business. Contact us now.